Autonics hollow shaft and blind hollow shaft type incremental rotary encoders offer precise and accurate measurement for various applications including office machinery, manufacturing lines, industrial tools, elevators, and robotics. The encoders are available in various sizes, resolutions, output codes, and control outputs. Refer to the ordering information for detailed specifications. 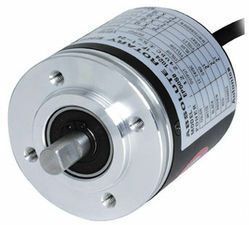 Looking for Rotary Encoders ?